The two roles of “Behaviour Analyst” and “Mom” can sometimes be difficult to merge. On the one hand, knowing so much about the principles of behaviour, I should have all the tools I need to manage behaviour in my home. You would think that my home is full of sticker charts and token boards and that my children are the most well behaved children you’ve ever seen. The reality, though, is far from that. My kids don’t want a behaviourist, they want a mother. Against my instincts, I try to let them be children and misbehave, act out, be silly, and do things that kids do. There is another component at play with my own children that doesn’t play as much of a role with my clients – emotion. 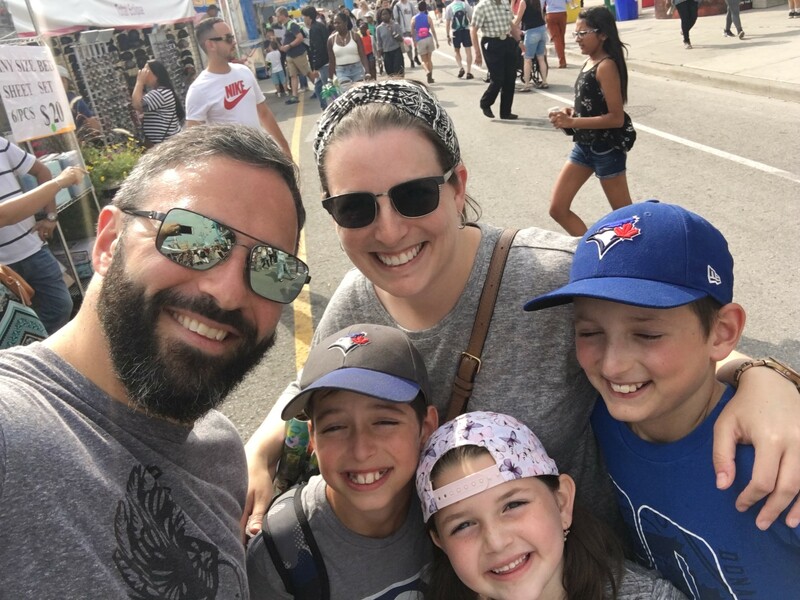 As behaviourists, we don’t give much acknowledgement to “private events” but as a mom, I know that these thoughts and feelings are actually the momentum behind a lot of behaviour that happens within a family. We can’t ignore the feelings of sibling rivalry, jealousy, frustration, and anger that I experience with my children. And, yes, my children misbehave. A lot of kids’ misbehavior is because they feel like they’re not getting enough of their parent’s attention. Non-contingent reinforcement (NCR) is essentially offering reinforcement for free – not dependent on any behaviour. The theory is that if a child feels “full” enough on reinforcement, they won’t feel the need to engage in negative behaviour to access it. It’s great for kids to learn how to earn good things, but it’s also important to make them feel like they get good things just for being them – or non-contingently. A long time ago, I instituted a policy in our house that my children get special time with me before they go to bed. This is time that they can rely on having to themselves when they can choose any activity for us to do together – like a book, puzzle, or a game. I have found this time to fill them up enough on my attention that they don’t fight or act out to get it. I know this because the days that we are too busy to get that time in, their behaviour and mood are not as good as they are when we do have the time. I follow through – 100%. If I say something, you can bet it’s going to happen. There are no negotiations or ignoring my instructions. I’ve learned that if I give an instruction, I will use the prompt hierarchy to make sure the demand is met. When they were younger, sometimes I had to go over to them and physically guide them towards me, but the instruction was followed. When I said it was bedtime, they learned that they meant they went to bed, even if it meant I had to take them to their bed. As they got older, I used a lot of forced choices – “Do you want to put on your star pajamas or your striped pajamas?” Now, as they’re even older, they test us way less often because they’ve learned through our follow-through that if we say it, it gets done. It takes a lot of the negotiations and arguing out of parenting. I’ve been taught to always be prepared. Instead of managing on the consequence side of negative behaviour, I focus on the best way to prevent negative behaviour. When my kids were young, this meant always having snacks and toys on hand or not planning an outing close to naptime. The way I use this now is by making sure my kids know what to expect, offering them choices when we can, and talking about problems before they get too large. I would say that this is one of the most important tools that every parent should know, especially parents of toddlers. Because of my knowledge of the WHY of behaviour, I am able to quickly assess a situation and determine the possible function the behaviour is serving. Why is my child acting out? Is taking her out of her bed when she cries going to reinforce the crying? If he hits his sister, should I ignore it or attend to it?? The answer usually depends on the function. I always try to give my kids the words to express themselves instead of the negative behaviour (eg: “I don’t like this” or “Can I have a turn?”). Over time, they are learning that using their words to express their needs works better with me than using any kind of negative behaviour (but not always!). Caution: REINFORCE/PUNISH A BEHAVIOUR, NOT A CHILD. It’s important that while we’re managing the behaviour, to be able to see that the child is so much more than the behaviour. Having my toolkit of behavioural strategies has definitely come in handy during my parenting journey. There have been times when my kids needed a reinforcement system or a specific intervention that I was glad I could provide. But it’s not constant. We don’t currently have a reinforcement system in place but there may come a time when I bring one back in to reinforce a specific skill. The best thing about being a behavioursit is that I have the knowledge and foresee to know when my kids need an ABA strategy and when they’re just being kids. Although it’s something I’m constantly improving in, I’m learning how to float in and out of my two roles of behaviourist and mom depending on the situation and my kids’ needs. In the world of ABA, we talk about reinforcing and punishing the BEHAVIOUR and not the child. At home, I’m more focused on the CHILD and secondary on the behaviour. Want more awesome ABA resources? Click to become a member of The Behaviour Resource Community today! ← What is a BCBA?